Real Madrid bosses are very busy at this time of the year and they are working to plan the next season. All the important positions are covered right now, but there are some players who may leave the club this summer. The most important one was signing another left-back after Fabio Coentrao’s departure and Theo Hernández is the chosen one. Los Blancos have still to render official the operation but the deal is closed. 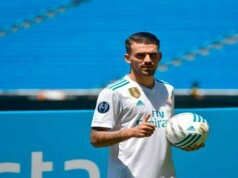 The player, who didn’t want to speak about the talks, finally spoke about the agreement: “It was a dream since I was little”, Theo Hernández said in Los Angeles. The footballer is on holidays in the United States but the journalists asked him about his future at Real Madrid: “Very excited and thrilled about playing with the best footballers in the world. 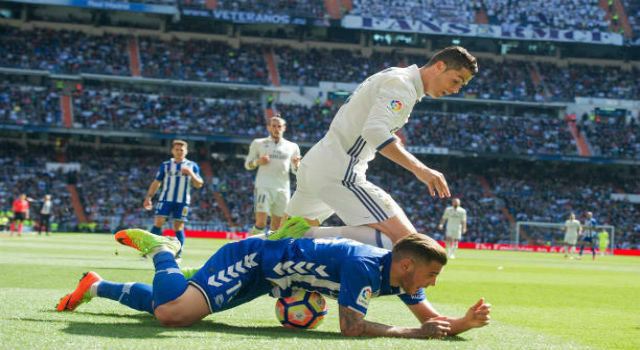 Now I have to keep working and fighting”, Theo Hernández said. In this way, the player confirmed the deal, so he will play with Los Blancos the next season. The president Florentino Pérez didn’t want to speak about it, although he said they are in talks with Atlético de Madrid for the player. Los Blancos will pay around €26M for the young French left-back. In the next days, Real Madrid will release a statement with the announcement, so Theo Hernández will be the first signing for the season 2017/18. The French player will also join Jesús Vallejo and Marcos Llorente, who come back after a season on loan to the Spanish capital. Theo Hernández played on loan at Alavés the last season becoming one of the best left-backs in La Liga. The defender even scored a great free kick in the final of the Copa del Rey against FC Barcelona. Now, he will be Coentrao’s replacement in the squad and Marcelo could have some rest during the season.